Sadfie Architects has revealed its plans to extend its Marina Bay Sands hotel in Singapore by adding a fourth tower. The new stand-alone tower will contain more hotel rooms and take cues from the existing glass buildings, which were completed by Sadfie Architects on Marina Bay in 2011. Alongside the tower, the studio will also design a new entertainment district with a state of the art 15,000-seat music arena. 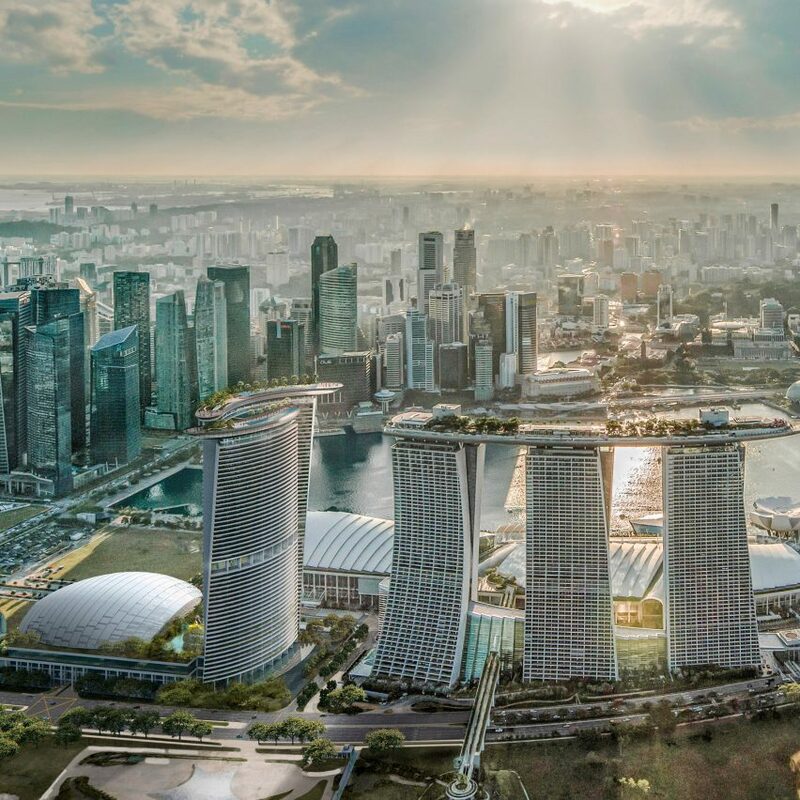 “Building on a long-term partnership with Las Vegas Sands corporation, we are delighted to embark upon a design for a major new addition to the iconic Marina Bay Sands in Singapore,” said the architecture studio in an Instagram post revealing the news. Recognised as an architectural icon in Singapore, Marina Bay Sands is a giant luxury resort built on reclaimed land, which is distinguished by three 57-storey towers with sloped glass facades. Each of the existing towers, which are linked by a cantilevered sky garden, houses luxury hotel rooms. The resort also has a museum, two theatres, a casino, shops and restaurants. The visual of the expansion released by Safdie Architects shows the fourth tower and music arena with a similar aesthetic, both characterised by curvaceous silver and glass facades. The tower will house 1,000 hotel suites, and will be topped by its own sky roof featuring a swimming pool and restaurant. It will also incorporate a dramatic atrium and terraces along with meeting rooms, ballrooms and exhibition halls. Meanwhile, the arena will be designed with “cutting edge technology” and is intended to play a “key role in bringing new and repeat visitors” to Singapore. 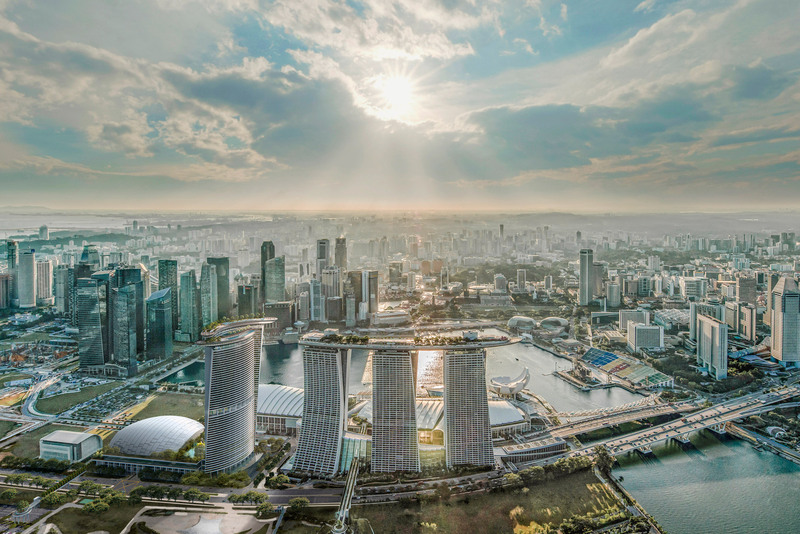 “Marina Bay Sands is an iconic tourism destination that has exceeded all of our hopes in growing leisure and business tourism in Singapore”said Las Vegas Sands corporation chairman Sheldon G Adelson. Though the expected date of completion is undisclosed, Las Vegas Sands has said work is expected to “quickly begin” on the project. Founded by Israeli-Canadian architect Moshe Safdie in 1964, Safdie Architects is an architecture studio with offices in Boston, Jerusalem, Singapore and Shanghai. The studio is best known for Habitat 67, an experimental housing scheme that comprises a 354 stacked concrete “boxes”, within which Safdie’s private home was recently opened to the public. Another major project in Singapore by Safdie Architects, the Jewel Changi Airport, which features the world’s tallest indoor waterfall, is set to open later this year. The studio has also recently completed a balcony-covered housing towers in the city. 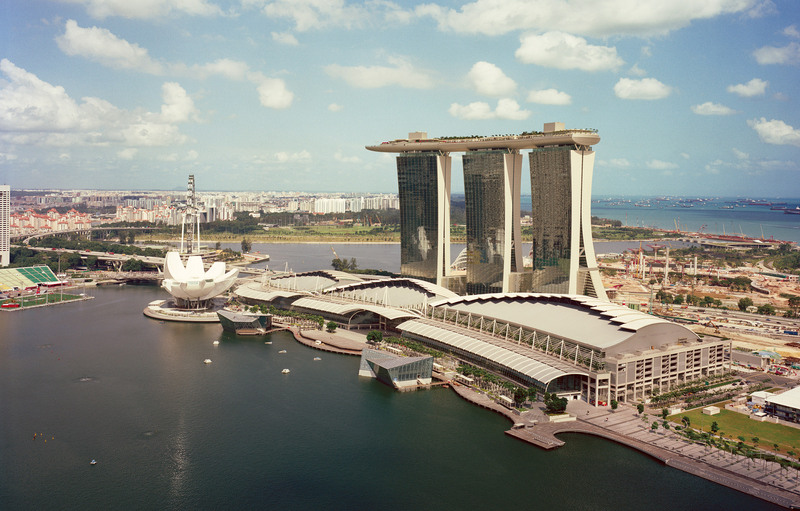 Other architecture studios to have completed waterside buildings in Singapore include Wilkinson Eyre, which created a large waterside park near Marina Bay Sands. The post Sadfie Architects to add fourth tower to Marina Bay Sands resort in Singapore appeared first on Dezeen.